Cut equal lengths of each color wire. The length is whatever you desire based on the application. 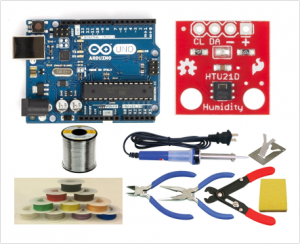 Ideally you want to keep the Arduino Uno out of the elements, we recommend about a foot. 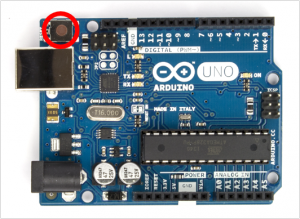 The power pin on the HTU21D is connected to the 3.3V pin on the Arduino, and ground is connected to the ground pin. SDA is connected to Analog Pin 4, and SCL is connected to Analog Pin 5.